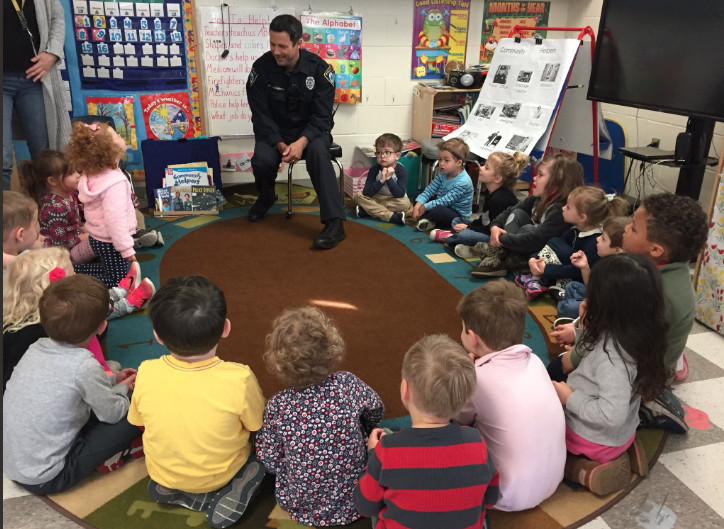 Not only is a significant part of the town population in Darien schools when school is in session, but 13 police officers are assigned to visit the schools regularly, staying informed about and familiar with the buildings, the staff and meeting the students. At a recent Police Commission meeting, Police Chief Raymond Osborne pointed out the work done by police in the schools and, separately, informed the commission that officers in the Youth Division attended a school security conference in Massachusetts for the first time. Detectives James Palmieri and Mark Cappelli, as well as Darien High School’s School Resource Officer Bryan Wallman recently attended a school safety conference at Woodstock Academy in the town of Woodstock, Osborne said. 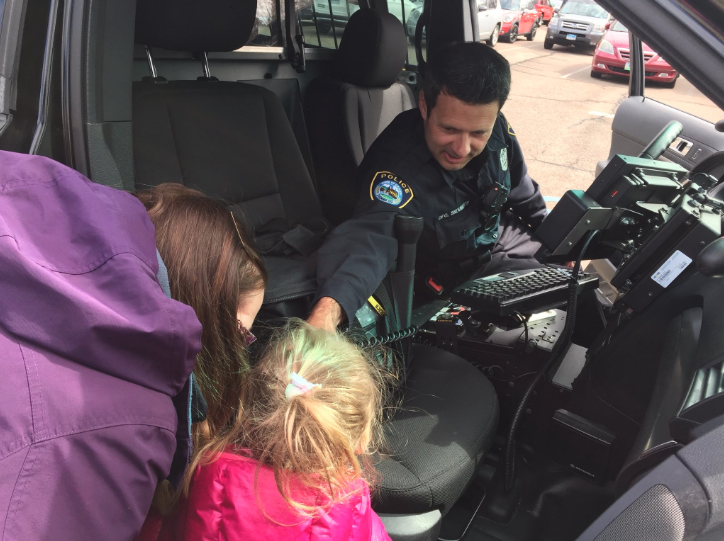 “They’re engaging with school and safety professionals and [attending] relevant sessions on active shooter response, security on school campuses, student mental health issues and critical decision-making,” he said. Osborne read from a memo emailed by Lt. T.J. Whyte to the 13 officers, thanking them for the job they’ve done over the past school year and noting what kind of work they do. Ox Ridge School Liaison Officer Daniel Skoumbros visiting a class. The duties of SLO officers range from drudgery to exercising people skills, including updating and keeping current a contact information list to emailing reports on their efforts, meeting with administrators and others at the assigned school, taking part in fire drills, lockdown drills and other drills, and attending other school events. “It was a challenging year in terms of school safety, in light of nationwide [reported] incidents (namely, the shooting in Parkland, FL),” Whyte wrote in his memo. “You each did a great job in meeting with your schools and furthering the dialogue on school safety and how we could help. Security assessments (which we updated in 2017) were re-examined and more suggestions were put into place following these discussions, and based on what you identified. Osborne said school liaison officers are assigned to a particular school for at least a year. Two checks were reported stolen from an elderly Darien woman who had home aides in the house, and one of them was cashed early this month for $5,200, Darien police said. Police gave this further information: The woman's financial advisor recently notified her about the check for $5,200 because it seemed suspicious.